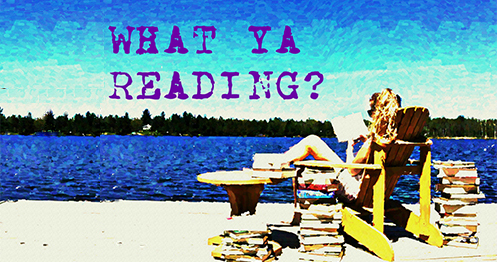 Eon | What YA Reading? When Eona’s secret threatens to come to light, she and her allies are plunged into grave danger and a struggle for the imperial throne. Eona must find the strength and inner power to battle those who want to take her magic… and her life. For the most part, this book was amazing. I don’t think that the summary (above) does it justice. Eon isn’t just about Eona trying desperately to keep her secret and fighting for the imperial throne. It’s about sexism, struggling for peace with one’s self, political alliances, war, and living as a cripple, which is a sign of evil in Goodman’s fantasy world (not to mention painful). Alison Goodman delved so deeply into such controversial subjects as eunuchs (castrated men), men living as women, women living as men, gay love and slavery that my mind was blown. Not to say that there isn’t room for improvement. As soon as one of the plot’s main mysteries was introduced, I guessed the solution, and proceeded to scream at Eona for the next hundred pages, trying to shake some sense into her. It didn’t work. And I could tell you that its predictability didn’t hinder my enjoyment of Eon at all, but it really did. Also, there is absolutely no romance whatsoever in Eon. So, if you are a reader who is terribly fond of romantic relationships, crushes, kissing and all that drama, and ﻿cannot stand a book without them, do not waste your money or your time. 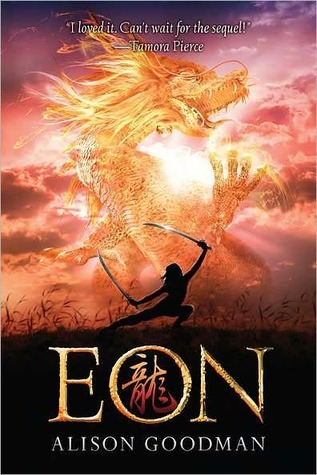 However, based on the summary of Eona (Eon #2), there is romance to come. So if you can stick it out for the first book, you will be grateful while reading the second. My final statement: Eon is the book for you if you appreciate fantasy and controversial topics and you don’t mind predictability and lack of romance. 4.8/5 stars.